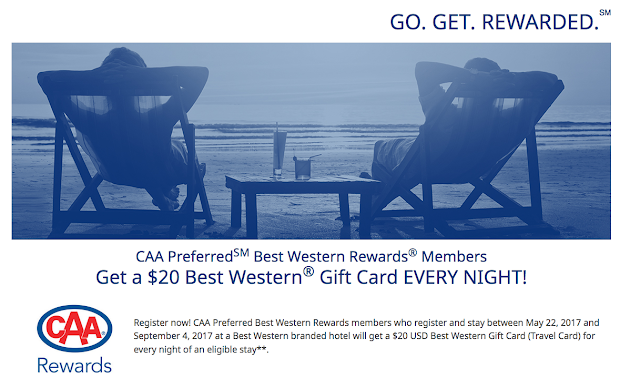 We have highlights of Best Western's summer promotion that will launch next Monday. The new offer at first looks like their last promotion but their is one big difference. The $10 gift card that is awarded will not be per stay but rather per night! Plus it will include the typical 10% off for Best Western Rewards members. Seeing that you can get a lot of BW hotels for under $100 this can be quite a lucrative promotion! It gets even better for CAA members, that gift card is doubled to $20 per night!